Sayani Gupta’s most recent role is that of a journalist in Amazon Prime Video’s ‘Four More Shots Please’. Sayani Gupta has her hands full. Among the actor’s upcoming projects are the single-character film Where The Winds Blow, Nicholas Kharkongor’s satire Axone, the third season of the British television series Good Karma Hospital and the second season of Amazon Prime Video’s Inside Edge. Meanwhile, 33-year-old Gupta has been drawing praise for her performance in the Amazon Prime Video series Four More Shots Please. 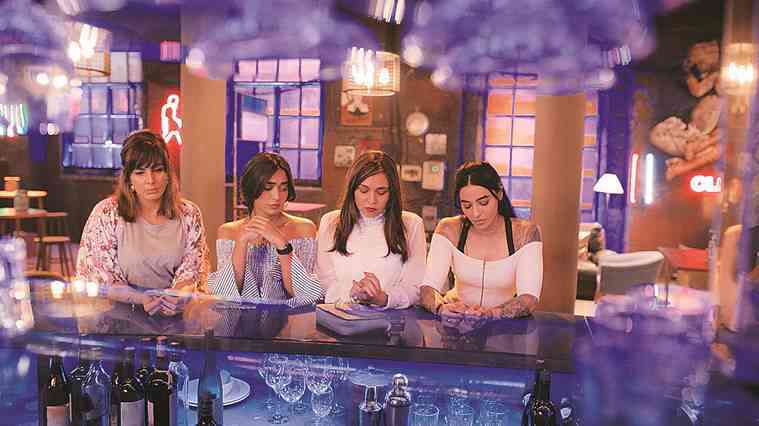 Directed by Anu Menon and written by Ishita Moitra and Devika Bhagat, the show follows Damini (Sayani Gupta), Anjana (Kirti Kulhari), Umang (Bani J) and Siddhi (Maanvi Gagroo) as the friends negotiate sexism, relationships and love. 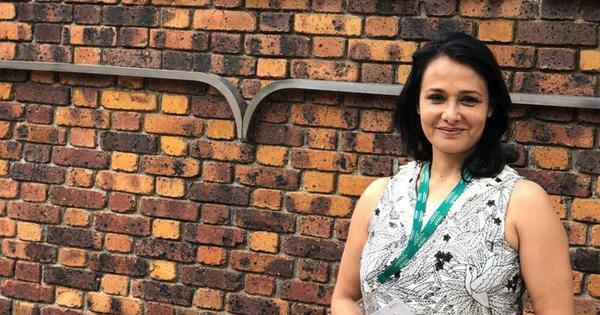 Gupta’s Damini is a self-made investigative journalist who battles internet trolling at her workplace and commitment-related issues in her personal life. Four More Shots Please (2019). An important part of the show was to depict the regular lives of the women, Gupta added. “With my girlfriends, the one thing I cherish the most is to be able to banter about very inane things without any judgement,” she said. Much of the series takes place in a bar, where the women discuss their problems over shots of alcohol. One of the criticisms of Four More Shots Please is that it is elitist. Gupta concurred, but added that it was important to represent that strata of society. Four More Shots Please (2019). Courtesy PNC/Amazon Studios. Gupta made her screen debut in Gaurav Panjwani’s Second Marriage Dot Com. Her second role was a milestone in her career – the visually impaired Khanum who falls for Kalki Koechlin’s cerebral palsy-affected Laila in Shonali Bose’s Margarita With A Straw (2015). When Gupta was handed the script, she realised that the part could make or break her career. Margarita With A Straw (2015).